The Mercedes Benz CLA is an entry level sedan offered by the German manufacturer. Aimed towards a young customer base, the CLA hits the right spot with its sporty coupe like looks and an option of great engines. 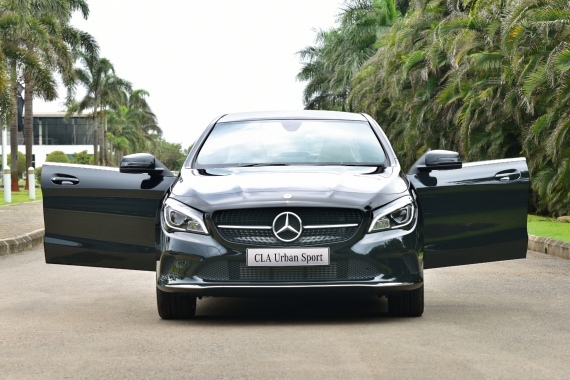 Realising this appeal of the CLA, Mercedes has now launched a new Urban Sport variant of the CLA 200 and CLA 200 d. The Urban Sport variants get a small list of new features as standard. They are the Thermotronic automatic climate control with 2 climate zones, rear centre vents, Cosmos Black paint job, rear spoiler with carbon fibre pattern. Apart from the, the car gets a ‘Sport’ badge all over including the floor mats and illuminated door sills. Mechanical changes are not done to the car. 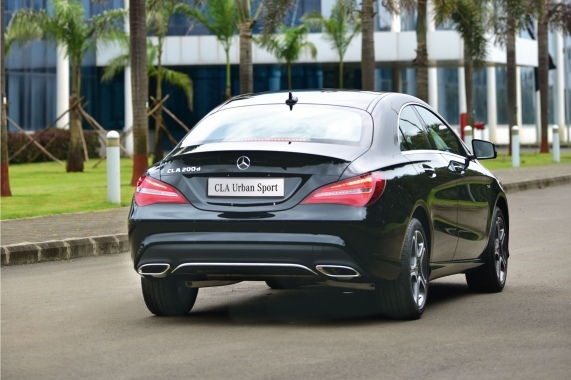 The CLA 200 uses a 2 litre petrol engine and the CLA 200 d uses a 2.2 litre diesel engine. Both engines come mated to a 7 speed automatic transmission which also gets peddle shifters to keep the young customer entertained. The Urban sport variants are priced at a small premium compared to the regular sport trims of the CLA. The Urban Sport costs INR 35.99 lakhs and INR 36.99 lakhs ex-showroom, India, for the petrol and diesel engine options respectively. The Audi A3 is the main competitor of this compact sedan.